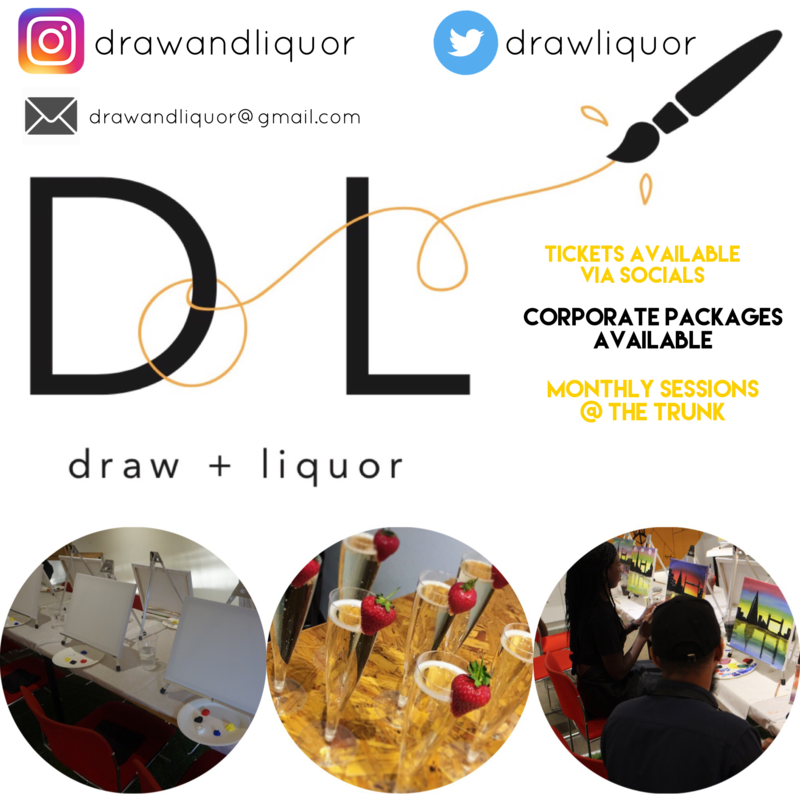 Draw + Liquor is a ‘Paint and Sip’ concept that offers you the chance to let our your creative side in a fun-loving environment. Bubbly and nibbles are provided at the beginning of each session… because everything great starts with a glass of bubbles. Collaboration is the foundation of #DOLO so no two sessions are the same and creative license is given to each new independent artist that leads the session. Expect to hear a new musical theme each session, learn a new artistic style and network with a range of individuals. Whether you are a beginner or seasoned artist – you are bound to be catered to! All we ask is that you bring your favourite bottle of wine/beer, an open mind and allow us to do the rest. Tickets are always available by our social media links!